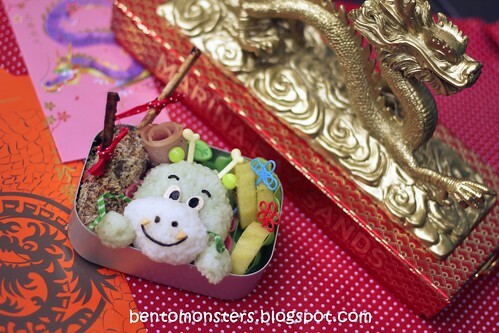 Chinese New Year falls on next Monday, the new year is going to be the year of the dragon. The year that is ending very soon is the year of the rabbit. 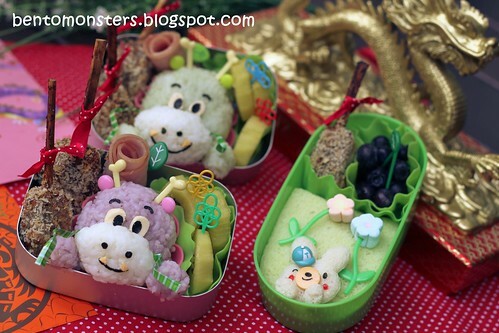 :) I decided to make both animals in my bento today, to symbolise 送兔迎龙(It means to send away the bunny and to welcome in the dragon.) :) However, I am not too happy with how the dragon turned out, maybe I'll try making it again. 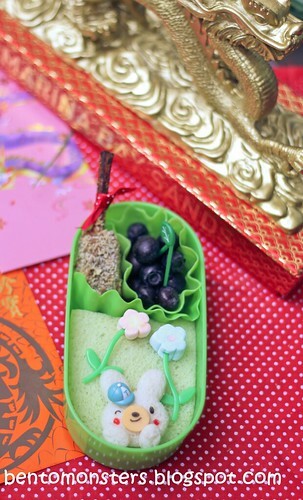 This bunny bento is for IT's recess, in the bento are nutella sandwich, blueberries, marshmallows and breaded meat patties. I heard that a lot of weddings are going to take place this year(Dragon!!)!! Super cute! I haven't made any dragon plans yet, but I do need to SOON! The little dragons and bunny are so so cute! My son is very excited for the year of the dragon because that is his birth year and this is the first time it has come around again! Hi Ming, your dragons are adorable! 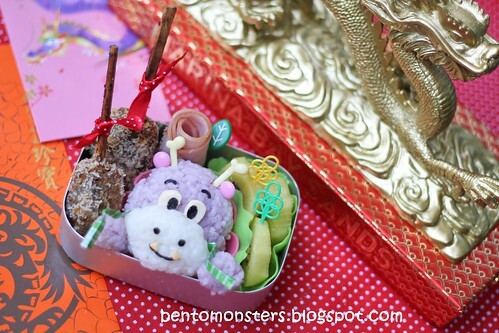 I featured the purple one on my blog with a link back here so other people can see your bento boxes.